There has been an explosion of fruity, low-alcohol drinks on the market. 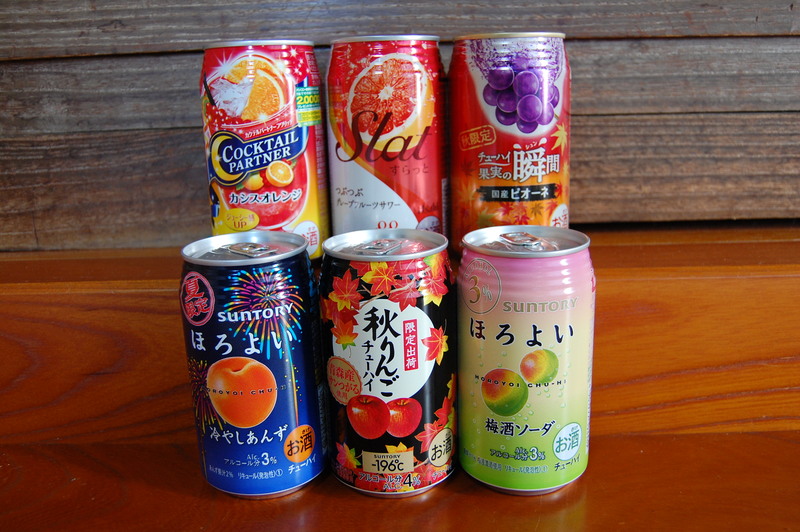 Chuhai drinks or cocktails at about 3% alcohol. This is popular especially with young Japanese in their 20’s. The packaging is colorful and often includes pictures of fruit. 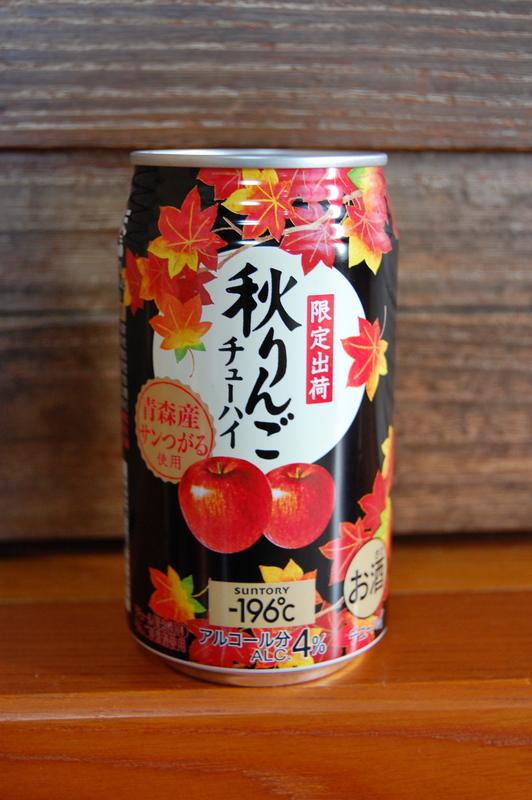 The three big companies, Suntory, Asahi, and Kirin, are all active in this category. 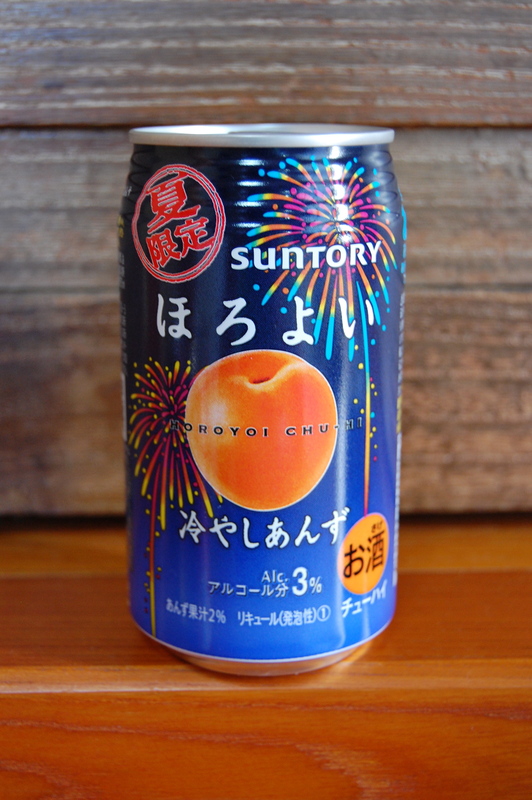 The Suntory Chuhai line-up includes this Hiyashi Anzu Horoyoi which is one of my favorite packages with the fireworks that fill the Japanese summer skies at night. These are 晩酌 banshaku, or evening drinks. For people in their 20’s banshaku is usually at 10 p.m. – surfing the internet or checking e-mail. For people in their 40’s it’s usually a drink with dinner. The drinks are sweet, like drinking a fruity soda, complete with the bubbles. As for me, I enjoyed these as an aperitif on the hot days in a glass filled with ice. But one is just right. From there I prefer to go to shochu. But I know a lot of people who can not have a lot of alcohol and for that market this is perfect.